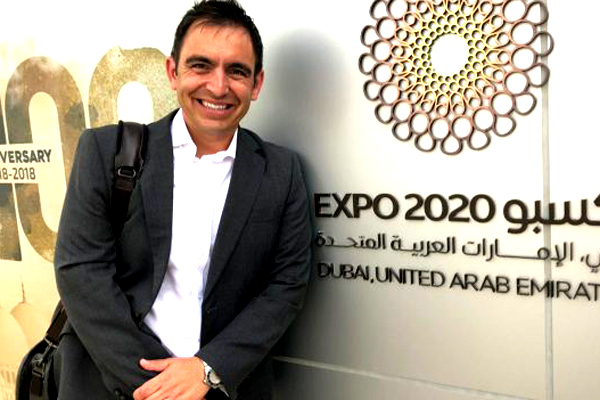 UK-based Direct Access Consultancy has opened its first international office in Dubai, UAE, after winning a contract to turn the city’s Expo 2020 exhibition into an event accessible for all, thanks to support from the Britain's Department for International Trade (DIT). Direct Access Consultancy, based in Nantwich, Cheshire, provides accessibility audits to help improve disabled access for buildings and transport systems. Each of the company’s five staff has a disability, giving them advanced insight into the potential challenges facing the 20 million visitors expected to visit Dubai for the first-ever World Expo to be hosted in the Middle East. As the event’s ‘universal design consultant’, the business is advising the Expo’s planners on implementing international best practice for accessibility. It is also helping the Expo meet the requirements of Dubai’s Universal Design Code – a policy introduced in 2017 to help improve accessibility across the emirate, said the company in a statement. The Expo 2020 contract comes during a period of significant export growth for Direct Access Consultancy. Between 2017 and 2018, exports grew from a standing start to become 80 per cent of the business’ annual revenue. The company’s senior leadership are now working to build on its early success in the Middle East after DIT advisers helped the business identify the UAE as a potential market of opportunity, it added. The company exhibited at Dubai’s Middle East Rail exhibition in February, and has been invited to deliver a keynote presentation on accessibility at the Future Landscape conference in Abu Dhabi in March. Steven Mifsud, the director of Direct Access Consultancy, said: "This contract was a major achievement for the business, and we couldn’t have done it without DIT’s support. Not only has it been instrumental in helping us establish a network in the Middle East, but it’s also enabled us to overcome a number of hurdles in terms of visa requirements and trade licences." “With the weight of Expo 2020 behind us, we’re now exploring other export opportunities closer to home, including in Denmark and the Republic of Ireland. If we can find international success, there’s no reason others can’t too,” he noted.